The Dhauladhar range looked brilliant in the clear, morning sky. The Dhauladhar range looked brilliant in the clear, morning sky. Yes, I rewrote that sentence again for this caption. However, the ground near me didn’t. I had a hard time sleeping in the ruckus made by the marriage party. When I woke up, the place was in a mess. A lot of disposable plates, plastic glasses, remains of fireworks and empty liquor bottles were littered around the yard. To top it off, the electricians who had worked on lighting the tent had screwed up the MCB and there was no power in my room. My devices barely had any charge left in them. I called Nitesh and asked him to shift my room. He promised to do it as soon as the baboons left. I needed to get away. Sonu, the excellent server at Pops, arranged a taxi. The driver, Manu, played Nepali songs throughout the trip. He wasn’t a Nepali. He had married a Nepali girl. I think his wife has influenced his musical tastes. He hadn’t heard 1974 AD, though. 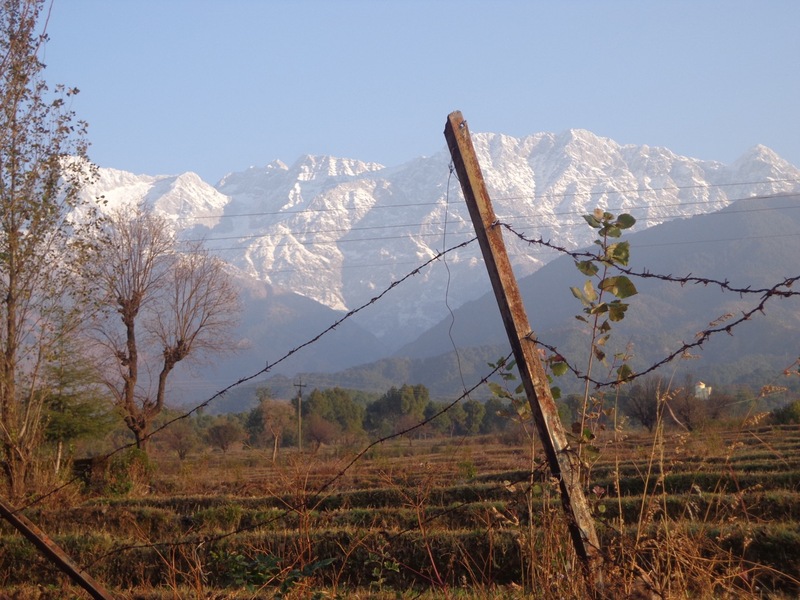 Almost everything in Palampur is radially away from the Palampur town. Saurabh Van Vihar and Neugal Cafe are on the banks of Neugal Khad. Saurabh Van Vihar is a nice little enclosure of pine forest, maintained by the Forest Deaprtment. The park is dedicated to the memories of Captain Saurabh Kalia, a martyr of the Kargil War. In fact, he died even before he received his first paycheck, in the hands of Pakistani troops. There is a small area dedicated to floral beds. The seeds for this season have just been planted. 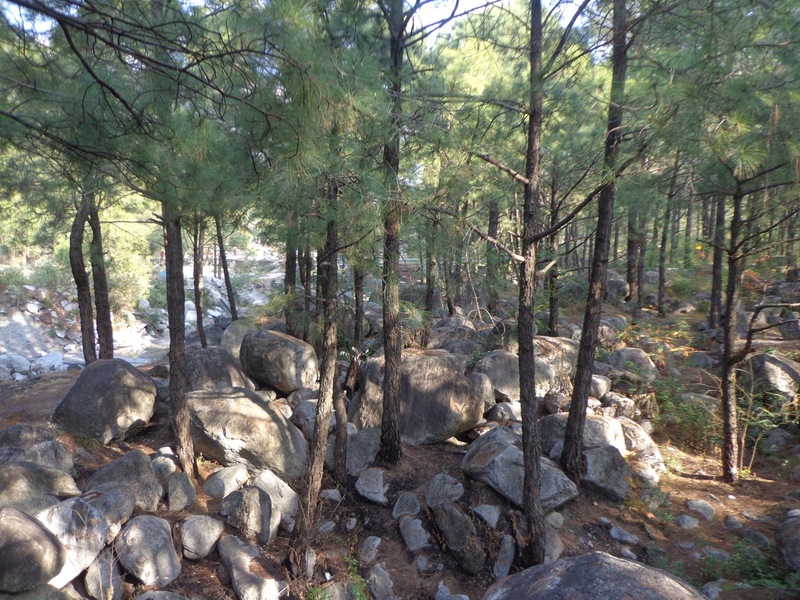 Pine trees against Neugal Khad. 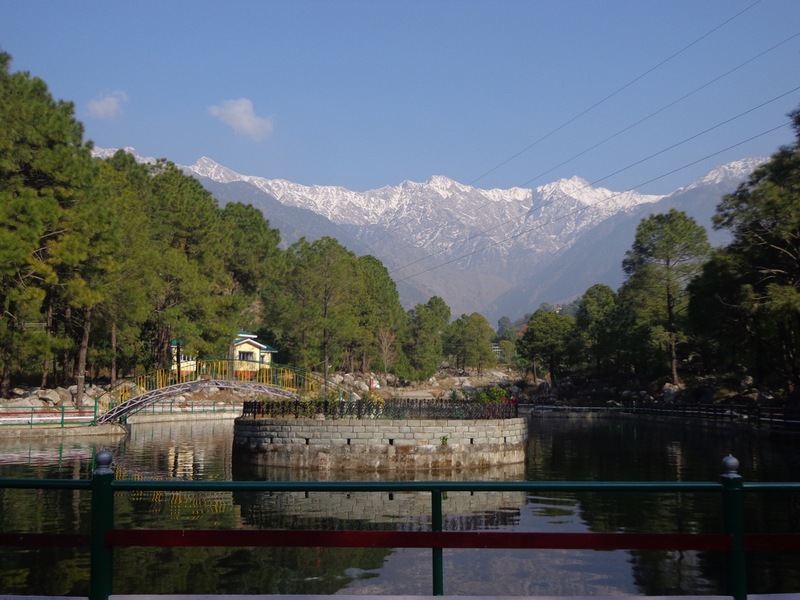 The boating area against the backdrop of Dhauladhar range. Neugal Cafe is a hopeless place. 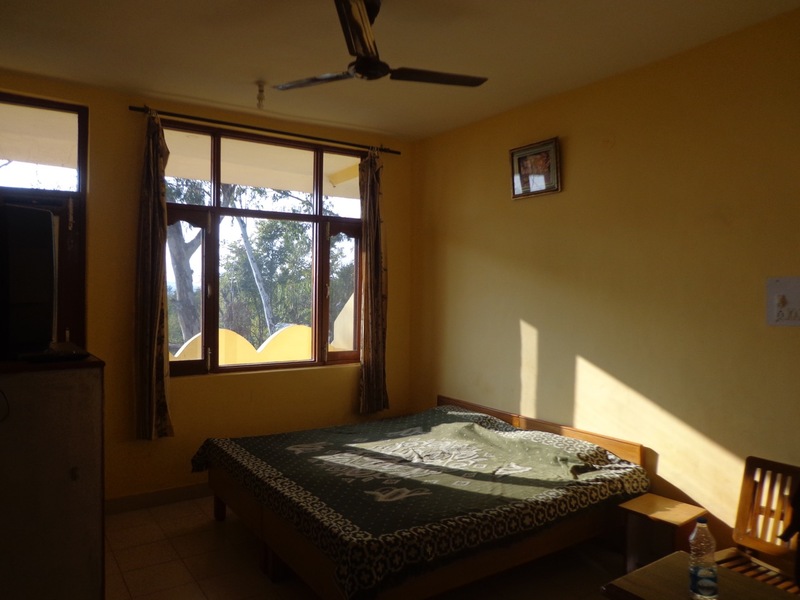 It is run by the Himachal Tourism Department. It could be a good place during the summers, but it is useless in the winters. Most people flock there to drink beer while sitting against the Neugal Khad. I was there for breakfast. It is unimpressive as a restarant. Masala Tea and Chicken Sandwich. 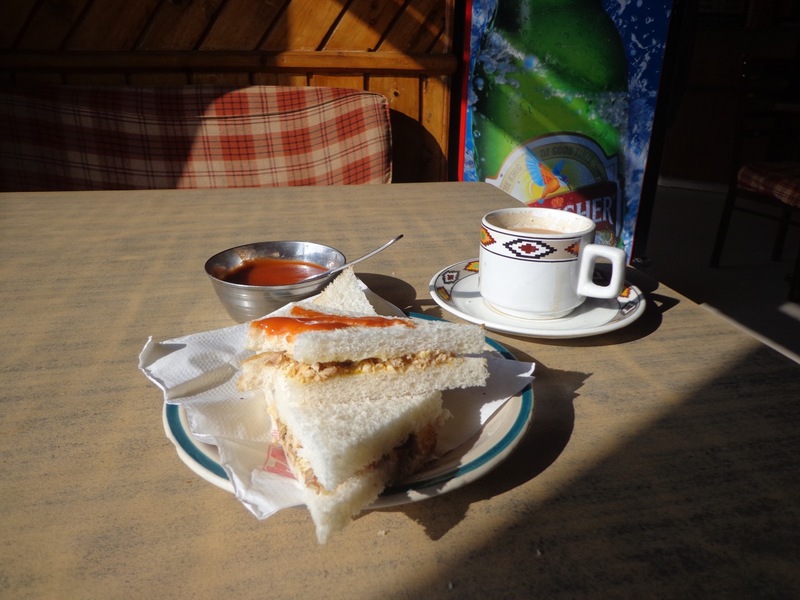 The veg sandwich at Dalhousie bus stand was better by leaps and bounds. 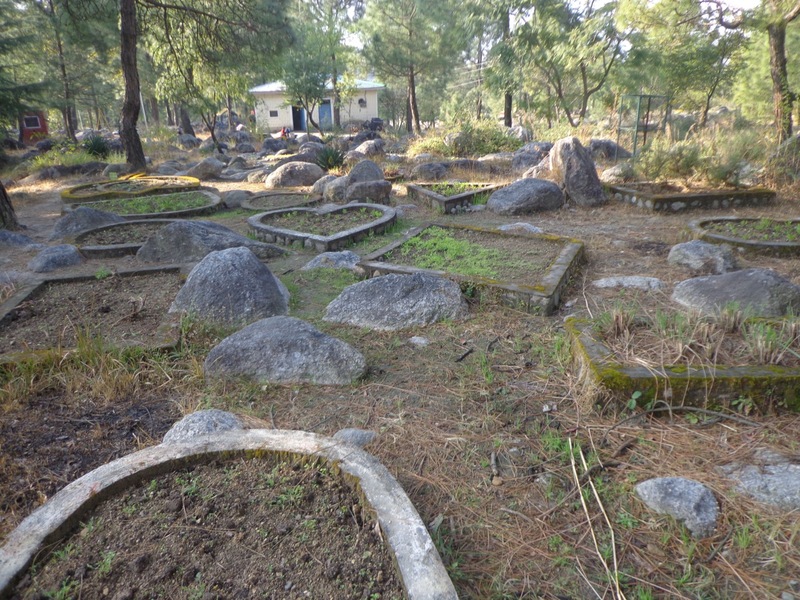 Manu, the driver, drove through the Kangra tea estates to reach Andretta Village. 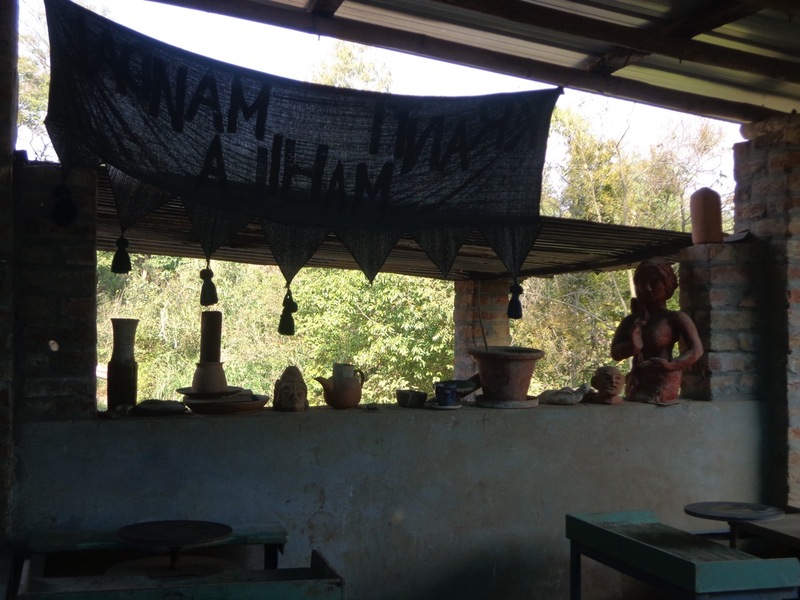 The place is known for Shobha Singh’s Art gallery and a Pottery workshop and museum. The former was closed. (Like the rest of Palampur, it remains closed on Mondays.) I was the only visitor to the latter. They opened the museum door just for me. 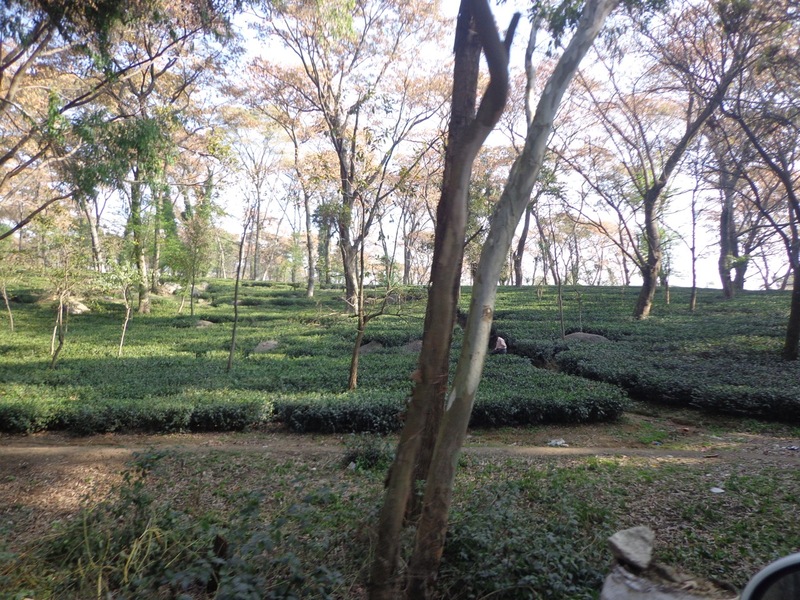 A tea garden near Palampur. The road exiting Palampur from the South-West has lot of tea estates. The co-operative tea factory and the Tea Board office are situated on this road. 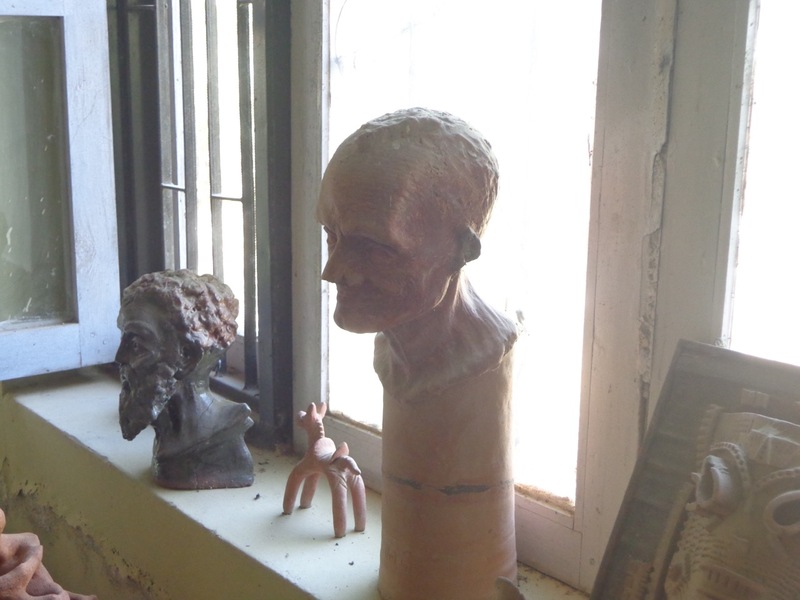 Pottery wheels. One can take classes for Rs 150 an hour, provided that the trainers are available. 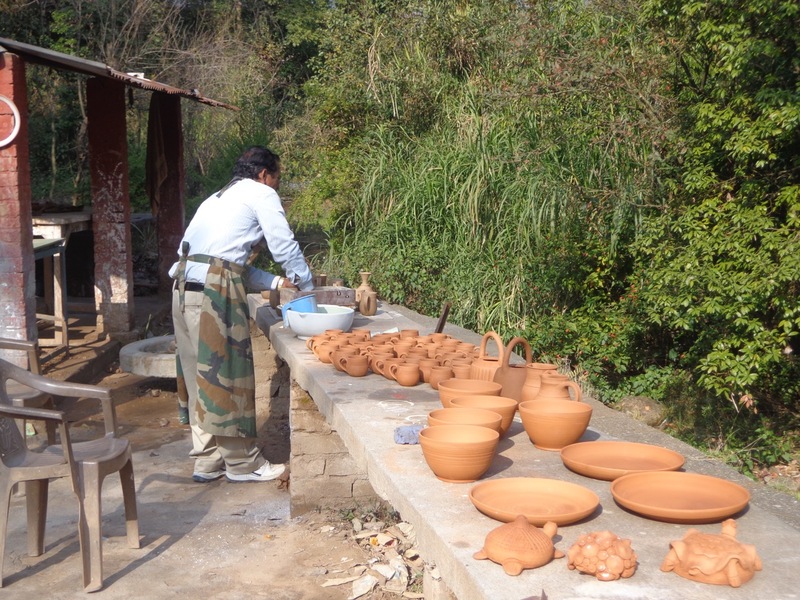 A potter mixing colours for designs on clay. 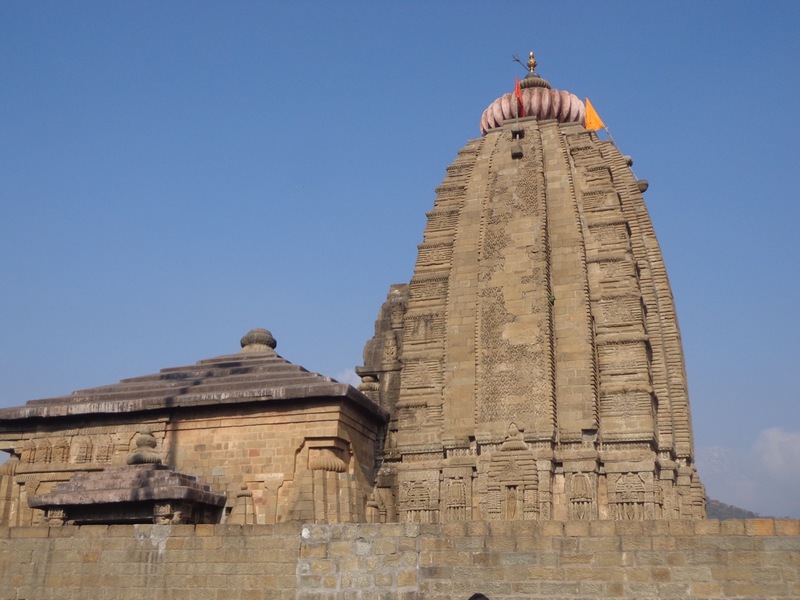 Baijnath temple has been taken over by ASI. There is an entire myth associated with the temple which attracts devotees of Shiva. The spire of Baijnath Temple. 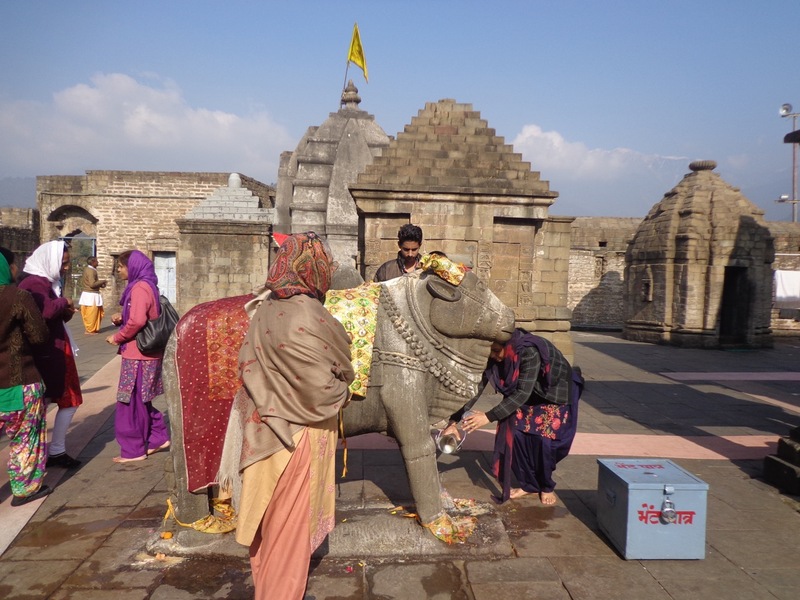 Devotees flocking to touch the bull (Nandi). 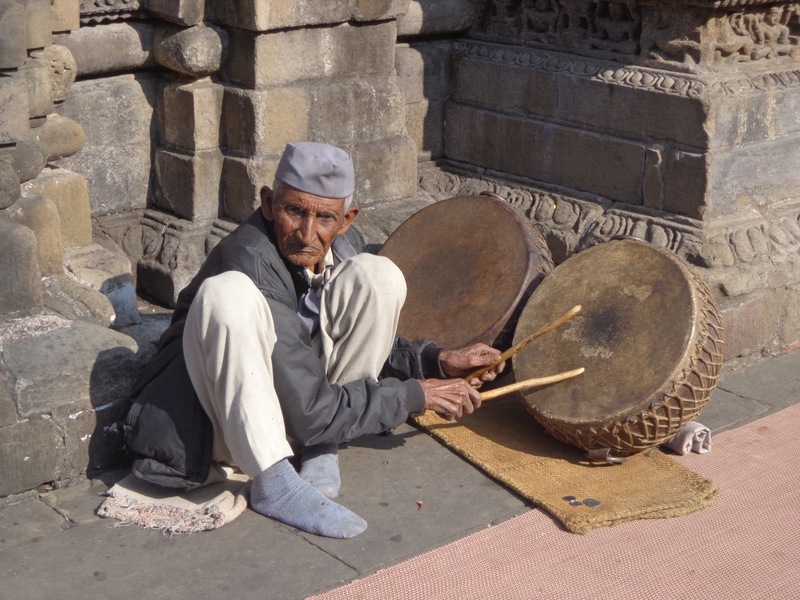 A drummer drums and begs inside the temple. Khir Ganga Ghat is situated on Binwa river that passes on the other side of the temple. This small monastery was getting an expansion. The entire front region was under construction. The monastery itself, however, was peaceful and calm. The gate of the main monastery was closed but I managed to take a snap of its main Buddha idol through the grill. 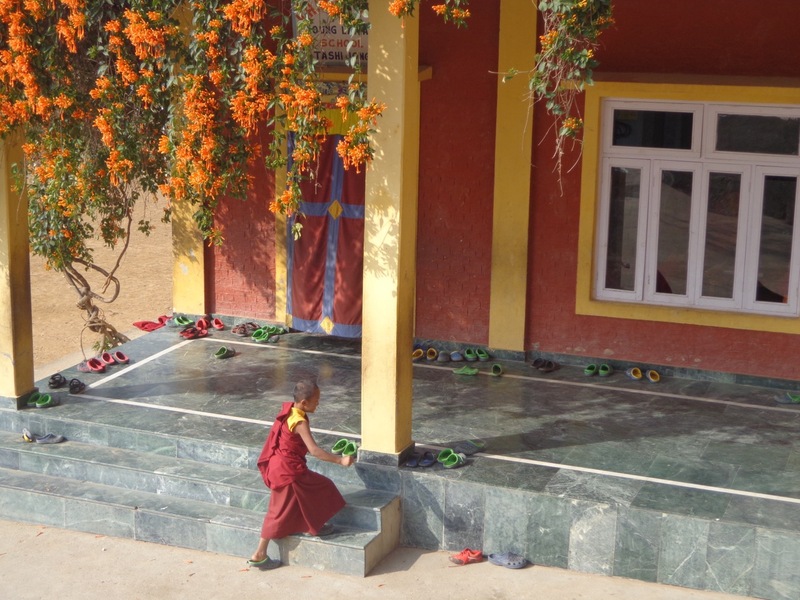 A young monk entering the Tashi Jong School. 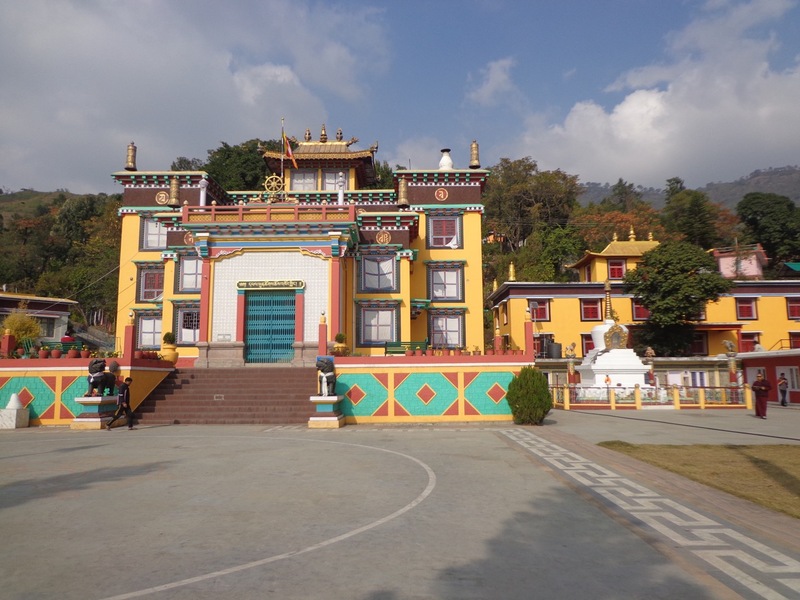 The Tashi Jong Monastery or technically, Khampagar Monastery at Tashi Jong. 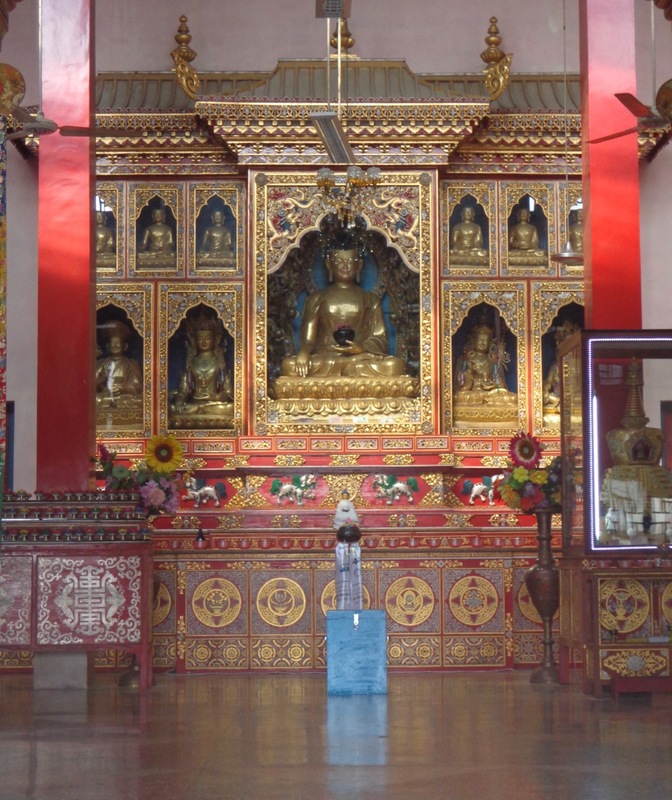 The Buddha idol inside the main monastery. When I got back, Nitesh shifted me to a better and proper room. As a compensation, he also wavered yesterday’s food expenses. Although I don’t think it is enough, at least he has agreed to do something. My new room was an improvement from yesterday’s hell. Sonu, the server at Pops, mentioned that it will take them at least three days to clean up the mess. After all, the owner had decided to rent the place to a group of 100 baboons for three days.